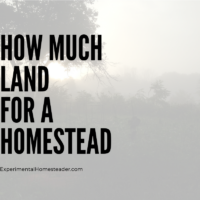 Before you make a decision on how much land for a homestead you need, it is important to think about what your end goal is. 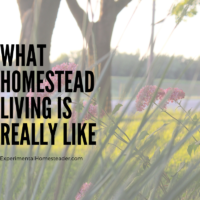 Some people homestead in the city on a regular size lot while others prefer to homestead on hundreds of acres. 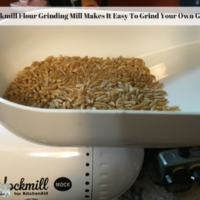 When you talk about how many acres are needed to get off the grid and become self sufficient, the battle begins between those who say you only need an acre and those who say you need much, much more. Actually, both answers are correct and here is why. 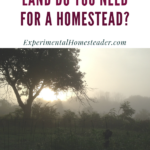 Is An Acre Really Enough Land For A Homestead? It all depends on how you plan to live and how self sufficient you truly want to be. 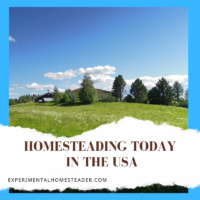 Homesteading today is a lot different than it was years ago. 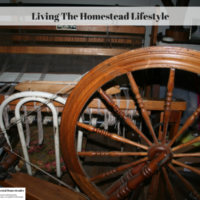 You can live on a single acre and raise animals, grow crops, and build a home. But you have to take many things into consideration such as raising a dairy cow. 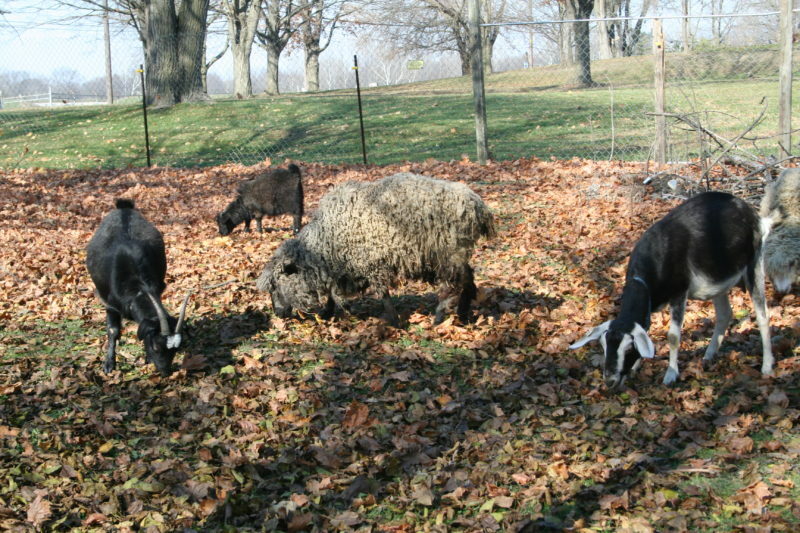 If you want to cut costs for hay, then it has to be able to graze in a pasture. If that is the case, then the cow needs plenty of room and an acre that also houses your home, garden and other barn isn’t enough. However, that does not mean it is impossible to live on an acre and raise a cow. If you have the means to buy feed and hay instead of allowing grazing, then you could own a dairy cow on a small property like this but your costs and inconvenience would increase, as would your reliance on the outside world. It also depends on how large your family is and how many people you have to sustain on your property. It is going to take more of everything to support a family of five than it would a couple. Some people want a large piece of property simply so you don’t have neighbors living right next door to you. 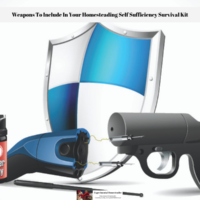 Having a land barrier on all sides of your homestead could make a difference in a civil unrest situation or in a crisis such as a natural disaster when people are fighting for survival supplies. Of course, what you can afford is certainly going to factor into the equation. However that does not mean you won’t be able to find a large plot of land on a small budget. It really depends on what else you want on that piece of land and how much work you are willing to do to possibly renovate a house, outbuildings or even clean up the property. 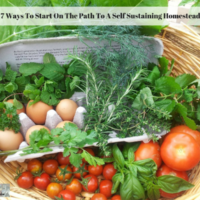 Living on a large piece of land also offers more opportunities to be completely self-sufficient and even live off-grid. Some families opt to invest in large plots of land so that when their children are grown, the family can expand and build a second, third or fourth home on the property. This is what families use to do in the old days. Of course, if this is your intent, look carefully into the land you purchase to make sure this is a legal option as not all pieces of land can have more than one home on them. 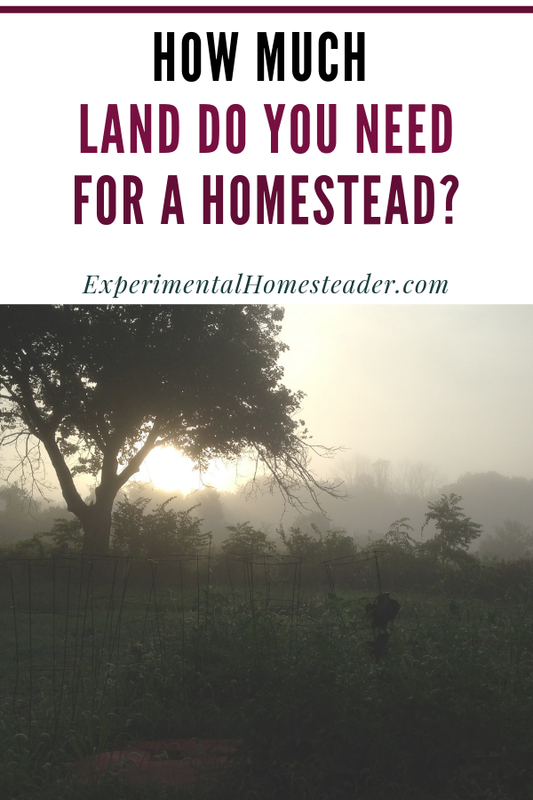 Some homesteaders will tell you that the size of your land is nowhere near as important as the quality of it. If it offers more than one escape route from the property, rich soil, and a natural water source, that it is worth more than a larger plot. This is the truth and something one should carefully consider before making a decision to purchase a piece of land. However sometimes the perfect property comes along, at the right price and you simply do not get everything you want. Land is easy enough to improve with plenty of organic matter, which animals readily provide. While a natural water source is wonderful, collecting rainwater is an alternative option. You can always dig your own pond as well. 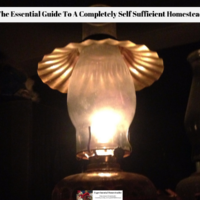 The key is to make sure your homestead has a way to easily get water even if that is a well or hooking into city water. Lastly, while more than one way in or out of the property is great, it is also a hassle. The more entryways you have, the more gates you have to put up because remember if you can get access to your property, so can everyone else. 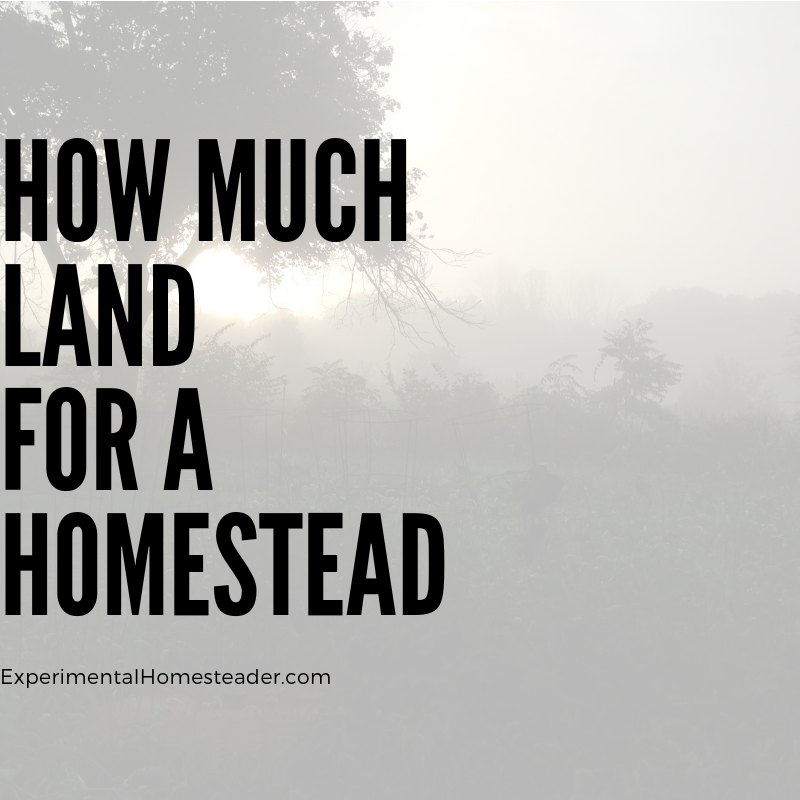 So, How Much Land Do You Really Need For A Homestead? A sweet spot is five to ten acres. However, I homestead on 2 1/2 acres and have plenty of room to grow flowers, vegetables fruit trees and herbs. I also raise poultry, goats, rabbits and sheep, plus keep a horse. I do buy hay and grain to feed them. On the acreage is a large barn/garage combination building, a home, a chicken coop and two small sheds. With the crops from this acreage it is easy to provide enough eggs, milk, fruits, herbs and vegetables for three to four people to live on year round plus have extra to sell or donate to food pantries. 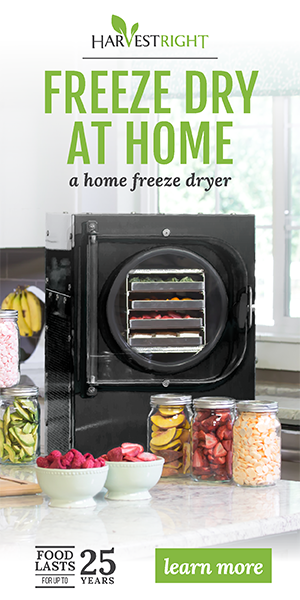 I do preserve the excess by freezing it, canning it or dehydrating it so I have it for winter use. My advice is buy the largest piece of land you can realistically afford, but keep in mind you have to take care of that land. Using animals to keep the grass under control is great, but they do need to be fenced in which can get expensive plus you have to keep the fence in good shape so they don’t escape. 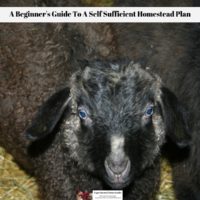 Give serious consideration to your homestead plans, your actual budget and the time you have to invest in working on your homestead. Once you take all of this into consideration, choosing the right sized piece of land for your homestead is going to be a lot easier.